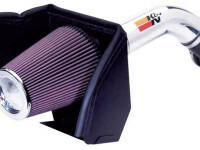 Post Tagged with: "kn air intake"
K&N has long been known as one of the top aftermarket companies in the world. Their air intake products are used in many pickups. Here is how to install them 2005-2011 Toyota Tacoma pickups.